Jennifer started yoga in 1999 after joining a yoga club in college. She was drawn to thespiritual focus and beauty of the poses. She has experienced the healing power within asana and spirtual study that helps calm anxiety and leaves her feeling centered and confident. Over the years her practice has changed but she is reminded each time that it is always there for her and a key component to her mental and physical health. Building upon her 200 hour teacher training, she has studied with teachers within different styles including restorative and vinyasa yoga. She aims to teach with clear alignment instructions, giving students the opportunity to learn about each pose. She is deeply influenced by the Iyengar method of yoga, most recently studying extensively with senior teachers in Philadelphia and Andover, MA. She also loves hiking, stand up paddling and reading. She moved to Davidson in 2015 with her husband, two little ones and whippet. 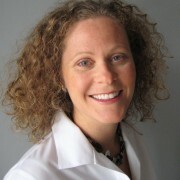 Christina Maria began studies in the energetic healing arts in 2001 with the intent to resolve an incurable autoimmune disease according to allopathic medicine. 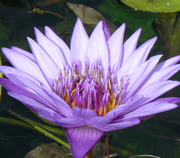 Throughout the years, she persisted in her commitment to the healing arts completing multiple certifications as well as studying/teaching various esoteric meditations & practices. Her deep connection and passion for nature led to a degree in Acupuncture. 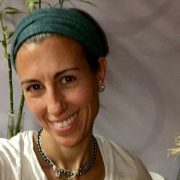 Most recently, Christina has become a certified yoga teacher further deepening a connection with her own humanity, nature & the Divine. Ahimsa (non-violence) one of the ethics of “yama” according to Patanjali’s Eight Limbs of Yoga has rekindled a fire within her own heart to a more profound sense of compassion & interconnectedness with all sentient beings with new ways of expression. Christina’s teaching style encapsulates the essence of ahimsa with the seeds of Bhakti. Her primary focus is the; internal cleansing of the asanas, pranayama, mudras & mantras emphasizing energy cultivation & management of the chakras and harmonizing yin & yang. In addition, she teaches classes cleansing, nourishing and balancing the five elements of the “emotional bodies” through the utilization of; meditation, movement, sound & light. It is Christina’s hope & aspiration to inspire, motivate & empower children and adults by offering practical self care tools to increase self knowledge, self-heal & restore/maintain homeostasis. By amalgamating these two timeless, sacred eastern practices, one may step forward merging with their Higher Self – Living their life purpose with balance, compassion, inner peace & harmony towards oneself as well as all other sentient beings. Yoga found me in the mountains of upstate New York when I took yoga for the first time with Rob Greenberg. As I walked away from that first class, my cells were floating. I had found home and have never left. Yoga started a conversation between my heart and soul, and it’s a conversation I have continued throughout my life and which has inspired and sustained me as I built and nurtured Community Yoga.I honor my other teachers who have inspired me on the path — Brian Kest, Alan Finger, and I love sharing what it is like to be in your body, to experience each unique sensation, from the placement of your fingerpads on the mat for Down Dog to the extension of your arms in Virabradrasana. Yoga for me is much more than achieving the perfect Triangle. As we move past the physicality of yoga practice and unearth the sacred, emotional, personal and spiritual practice, we find the real beauty of yoga.As a teacher and studio owner, I strive for inclusivity. All ages, body types, yoga levels are invited and welcomed to the studio. I am a believer in celebrating our many similarities rather than counting our differences. 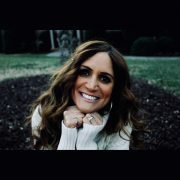 *Amy has completed 2, 200 HR Teacher Training Programs. Sivananda was by far the highlight for her, where she gained the greatest understanding and depth of the science. Still she is a firm believer that a piece of paper doesn’t make a “Great Yoga Teacher”. A sincere humility and love of the practice as well as a love for humanity/life. 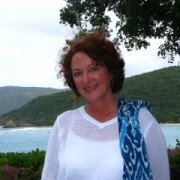 Uni Smith is an Insurance Sales Professional and has worked in a Sales Organization for over 20 years. Her occupation was draining her physically, emotionally and mentally. She was seeking something to help ease the stress from my daily life. She was introduced to the Twin Hearts Meditation in March 2013. The difference it made in her life was immediate and simply incredible. She has been practicing Twin Hearts Meditation almost daily ever since. Since practicing the Twin Hearts Meditation, Uni has cultivated love, peace, joy, patience, balance, and good health and is still in Insurance Sales. The Twin Hearts Meditation has truly blessed Uni’s life. In return, she decided she would like to be in and of service to others by teaching others how this simple guided meditation can bless them too. Meditation on twin hearts – is an advanced, guided meditation technique for individuals 16 years of age and older, with the focus on an act of service and loving-kindness to promote peace in the world. Although she didn’t know at the time, Amy’s life was forever changed in 1998. That was when she first started practicing yoga and meditation on a regular basis. That led to her insatiable desire for knowledge about health and wellness. Since then she spent years avidly studying and practicing a variety of healing arts – tai chi, qi gong, Reiki, Touch for Health, and nutrition to name a few. She consistently continued her yoga practice through two pregnancies and a debilitating back injury. These experiences are how she arrived at her revelation of most recent mission. She feels her purpose now is to share the message that anybody can use gentle movements to create physical and emotional well-being, no matter what their current physical condition. She believes that the mindfulness and self-awareness that gentle movement creates is as important as it’s physical health benefits. She promotes a practice that: reminds us to honor and respect the present needs of our bodies, discourages judgment, promotes mental clarity or spiritual connection, and teaches us how to lovingly accept our limitations. 10 years ago when Lisa discovered the joy of yoga and its many benefits she fell in love with the sense of calm, peace, and inner awareness she acquired from her practice. Since then, she has dedicated her time to practicing, studying, and sharing yoga with others. In 2016, she was compelled to complete her 200-hour teacher training with Awakenings Yoga Studio. The training deepened her understanding of the history, foundations, movements, body mechanics, breath work, and spiritual nature of this centuries old practice. She sees yoga as a way of life, threading the knowledge of its teachings throughout her connections, relationships, and the daily grind. 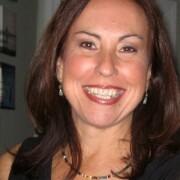 Lisa strives to bring a sense of lightheartedness, spirituality, and compassion to her classes where ALL are welcome. Her intention is to cultivate happiness and balance through increased awareness and mindful living, and hopes to inspire students to do the same. 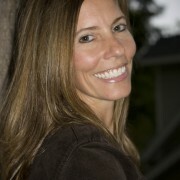 She has a master’s degree in Occupational Therapy and is a certified holistic health coach as well. When Lisa is not teaching or practicing yoga, you can find her in the kitchen cooking healthy, organic, whole food meals, running and exercising with friends, having fun adventures with her husband, or hanging out with her college-aged daughters. I avoided practicing yoga until 2009 when it became glaringly obvious that it was meant to be part of my life. Like many people, I was too intimidated to walk into a yoga class not knowing what to expect. Luckily, the climbing gym I went to began having small yoga classes taught by instructors that made laughing as important as alignment. It started as a physical practice with vinyasa yoga and slowly became a transformative one. Yoga has taught me about patience and compassion, not only for others, but for myself. It has helped me calm my monkey mind and helped me to be present. In my personal practice, yoga has become a moving meditation. I find peace in sun salutations. I’ve also fallen in love with Ashtanga, Yin, Kundalini, and Restorative yoga. There is so much to learn from each style. When I teach, my goal is to make yoga accessible for everyone, young and old. It can be modified to meet everyone where they are. Yoga brings me joy and I just want to share it. I completed my 200 hour yoga teacher certification in 2015 at Asheville Yoga Center with Kim Puryear, Stephanie Keach, Joe Taft, Michael Johnson, Sierra Hollister and Libby Hinsley. It was the most amazing experience of my life, and made me eager to learn more. I completed my 95 hour children’s yoga teacher certification with Amy Haysman through Grounded Kids Yoga and am currently pursuing my 500 hour certification through Asheville Yoga Center. Yvette began practicing yoga in 1997 in the basement of a Charlotte church, and she greatly values this early learning experience with Kripalu teacher Mary Lou Buck. Yvette quickly determined that yoga was a powerful way to enhance her physical workouts and to bring better life balance. She knew that the practice of yoga would become a permanent part of her world. As a student Yvette’s love for yoga grew through the influence of teacher Amy Schneider; and in 2004 Yvette was introduced to Anusara™yoga. Yvette finds the principal of alignment to fit well with her approach to life. Becoming a yoga teacher was a natural step for Yvette as she has been a business executive trainer by profession for over 15 years. Taking her teaching skills into the yoga discipline has enriched all facets of her life. Yvette is a 2009 graduate of Carolina Yoga, a 200-hour teacher training program offered by certified Anusara™ teachers, Kelley Gardner, Sarah Faircloth, and Stacey Millner-Collins. Yvette has a natural ability to assess her student’s needs. She physically challenges her students to explore their edge and to enjoy the moment. She also encourages the application of yogic principals to life off the mat as a vital nutrient to relationships and life challenges. Yvette loves to travel and finds herself practicing yoga in studios all over the country. In addition to Yvette’s regular yoga practice she recharges through reading and hiking, and spending every moment she can outdoors. Yvette has also published two children’s books. As a writer, Yvette is inspired to instill in children awareness in conservation, nature, and simplicity. 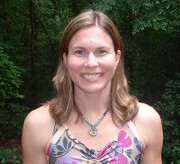 Ann Hambright, RYT 200, completed Subtle Yoga teacher training in 2009 under the guidance of Kaoverii Weber. Ann was introduced to yoga in 2003 by a dear friend. The two decided to walk into their first yoga class almost on a whim; it turned out to be an Ashtanga inspired class that changed her life. She has been practicing regularly since that first class and almost exclusively at a place she calls home, Community Yoga Studio. 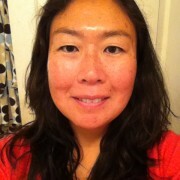 Ann enjoys sharing her passion for both subtle yoga and vinyasa flow in her teaching method. 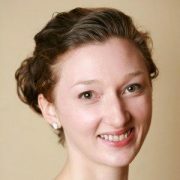 She is originally from Charlotte, NC and currently lives in the Davidson area with her partner, three dogs and a cat.